Religious TV Channel / DZCE-TV is the flagship station of the Philippine Television Network INC TV (merger of GEM TV and INC Channel on SkyCable). It is currently the UHF television station of Christian Era Broadcasting Service International, a broadcast ministry of the independent Philippine Christian church, the Iglesia ni Cristo. INC TV studios and transmitters are located at Redeemer Street, Milton Hills Subdivision, Brgy. New Era, Quezon City. On October 9, 2012, GEM TV Channel 49 on Free TV was on Test Broadcast and was replaced by INC TV on October 31, 2012, coinciding with the birthday of Iglesia ni Cristo's Executive Minister Eduardo Manalo. 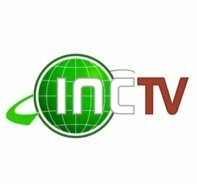 INC TV 49 shows religious programs of the Iglesia Ni Cristo, before its relaunch Deutsche Welle programs were also aired on the channel. And INCTV known before as GEMTV was the first broadcast television network in the Philippines to formally launch in high-definition.